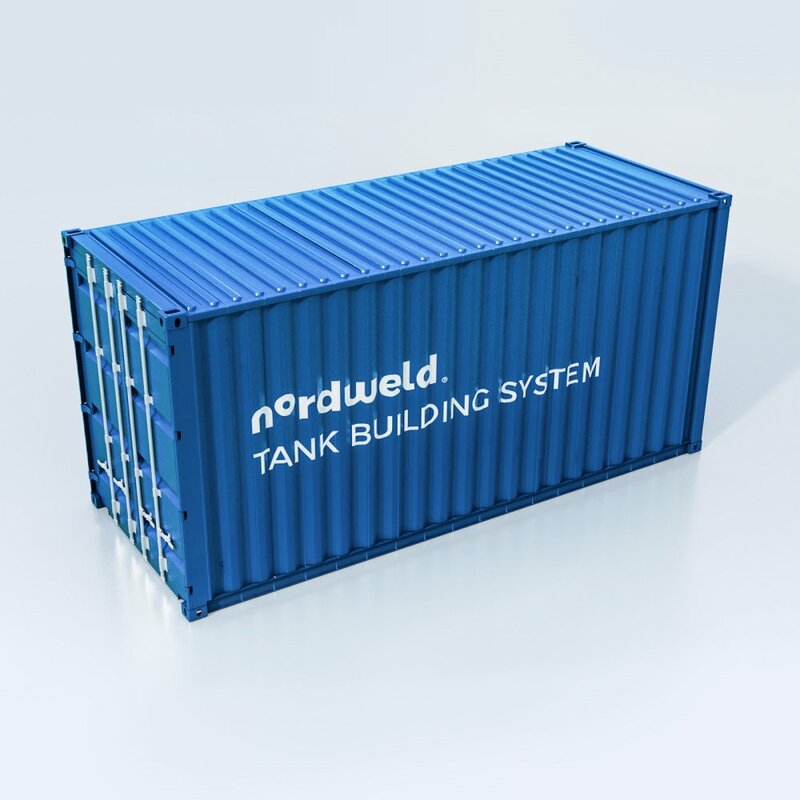 Nordweld’s Automated Tank Building System uses the “Top-Down” method of construction. All shell plates are loaded and fed individually from one location and then rotated around the tank’s periphery. 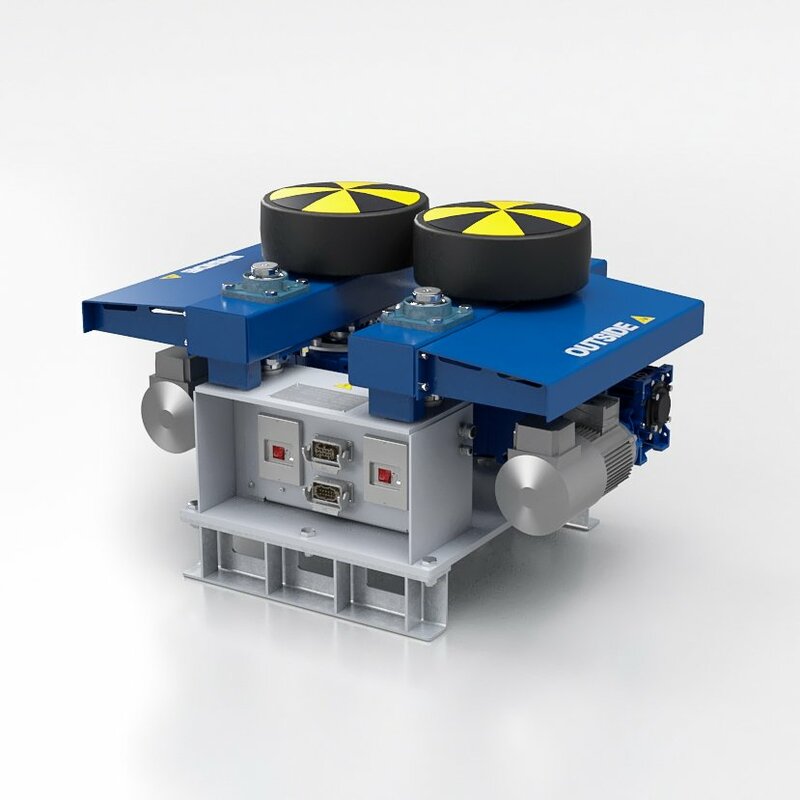 The system consists of 15 ton electro-mechanical Lift Jacks, Roller Beds, Trolley (optional), Tank Rotators, a Welding Station and a Tac weld / welding stand. As the tank is being constructed, it is continually rotated, with all shell joints welded, as well as the attachment of any required nozzles. 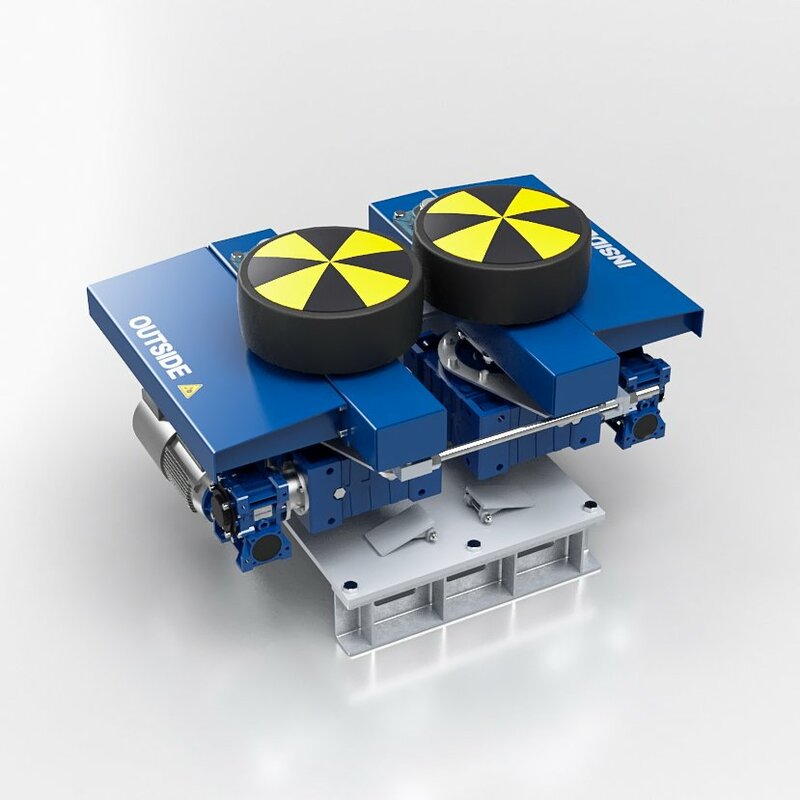 The system utilizes a mechanised welding processes, designed and refined over many years of continual research and development. 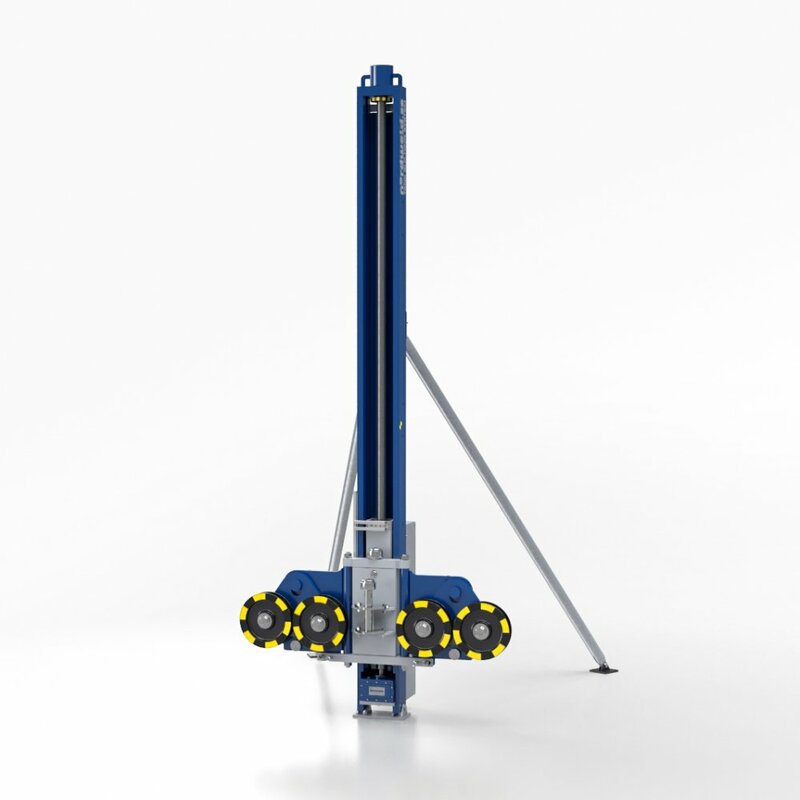 The maximum height of a tank built with our technology is 50 meters with maximum capacity of 700 metric tons. Height of a tank depends on its diameter and other factors that have to be taken into consideration (e.g. wind, tank weight, etc.). 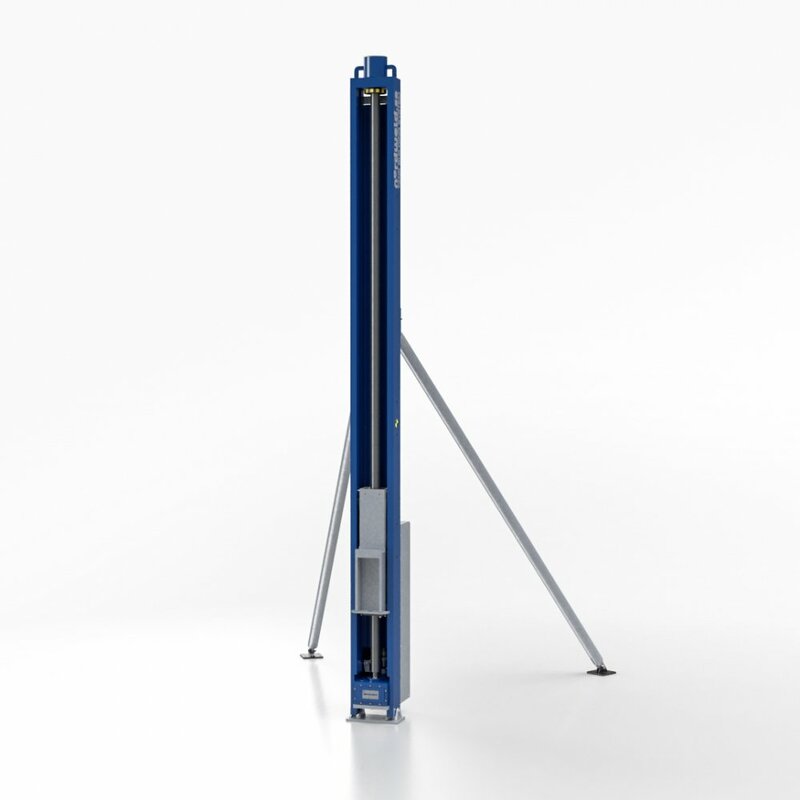 Lift Jacks are used to erect tanks of larger diameter when building in a top-down method. 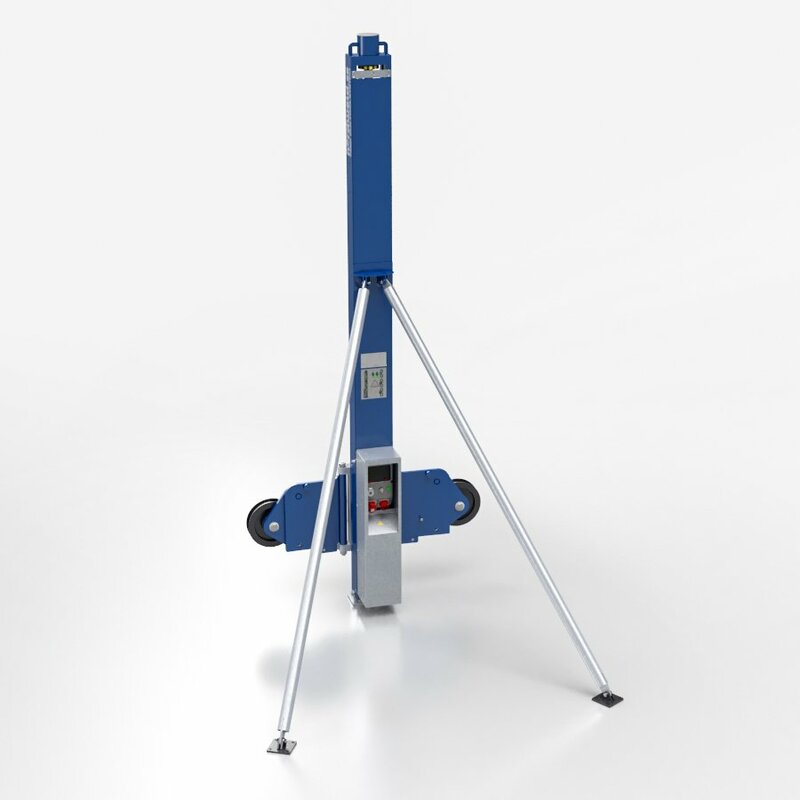 Our Electro-Mechanical jacks have a lift height of 2600mm. 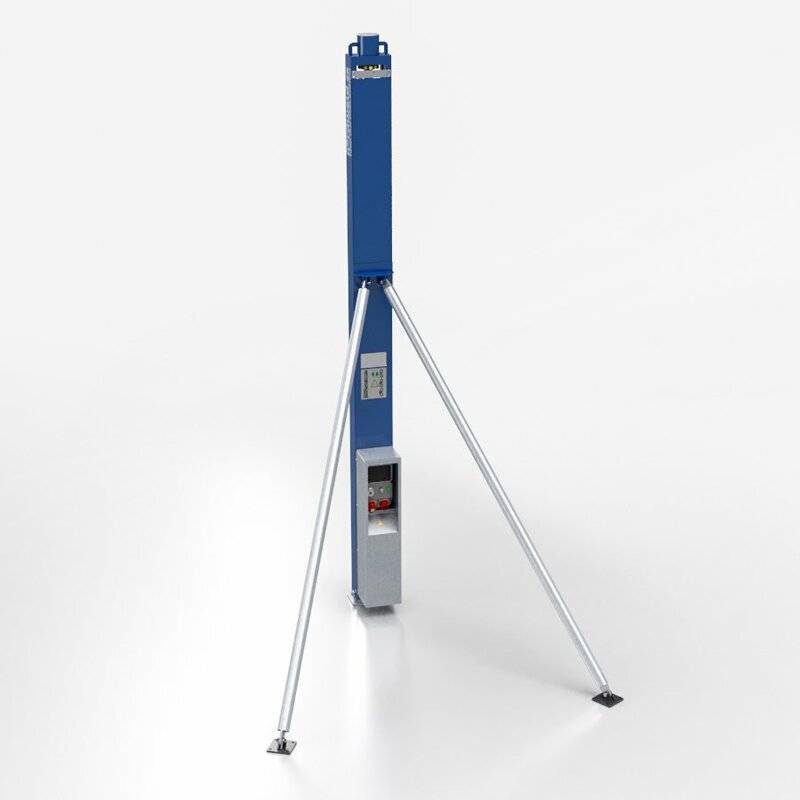 The supplied lift jack is CE marked and tested with a 25 ton dynamic load. 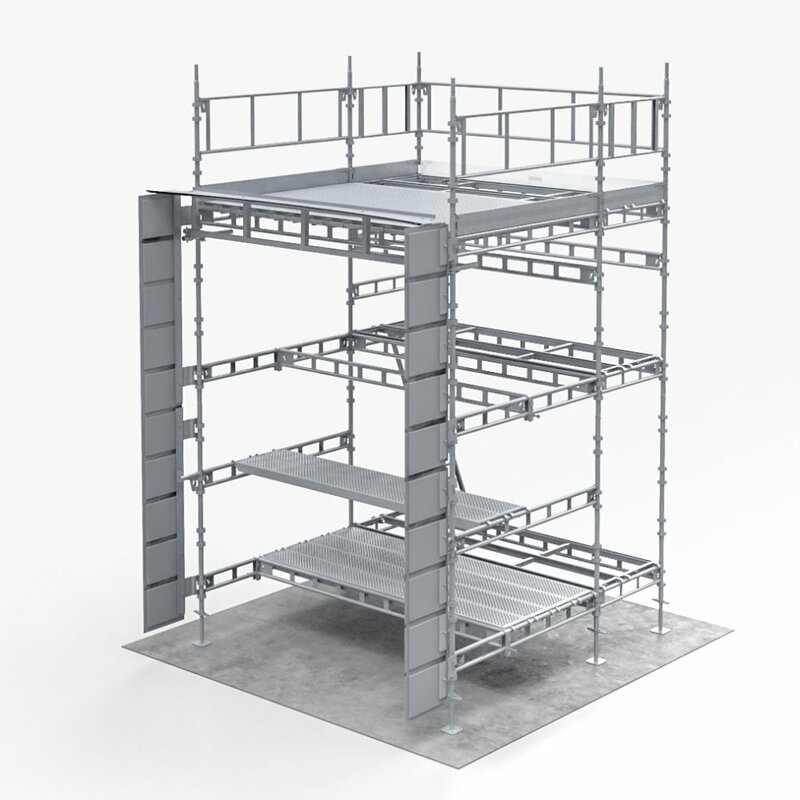 Easy to dismantle onsite. 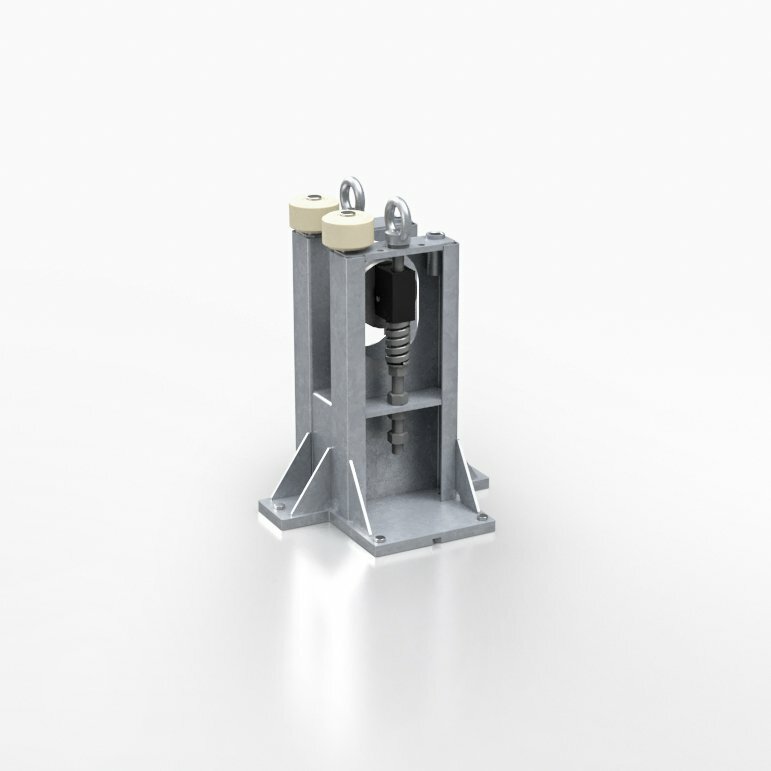 Comes supplied with a specially designed device which enables quick disassembly of the jacks after job completion. 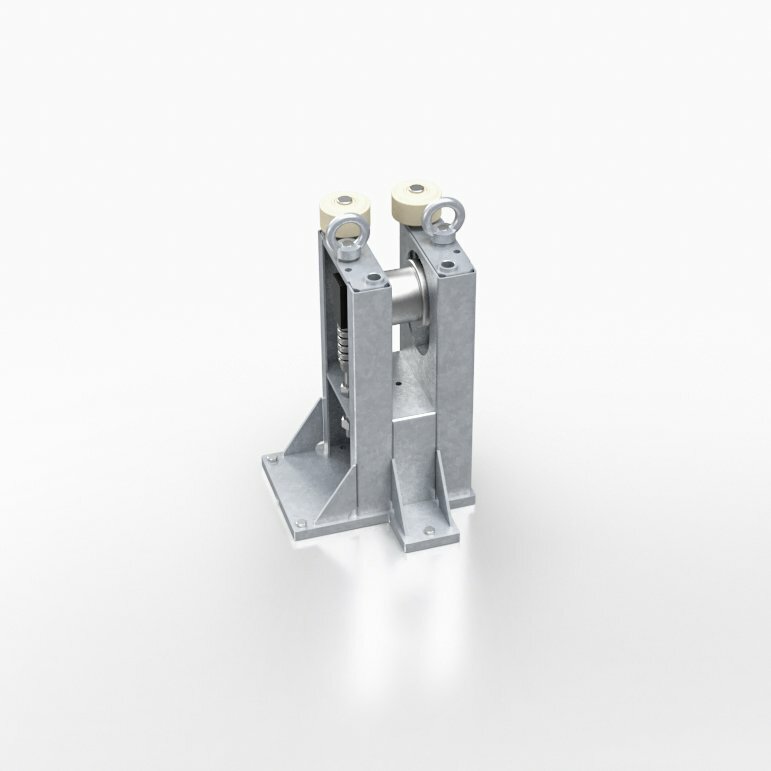 Lifting brackets can be welded to the shell, alt. 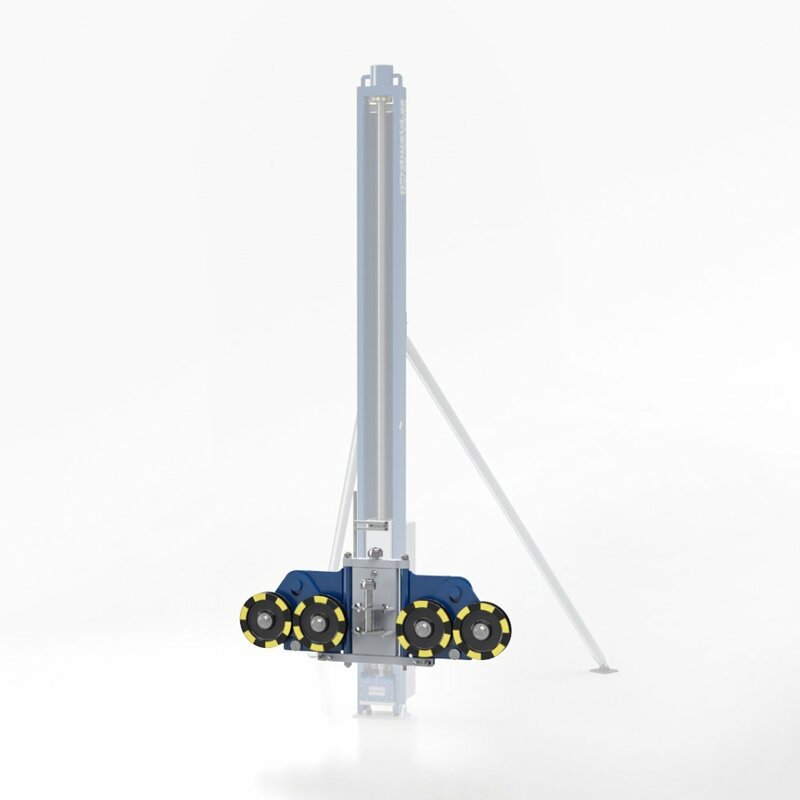 build with a wheel trolley attached upon the lift jack (specially designed for tanks build from coil). The horizontal joint is aligned while the tank is continuously rotated. 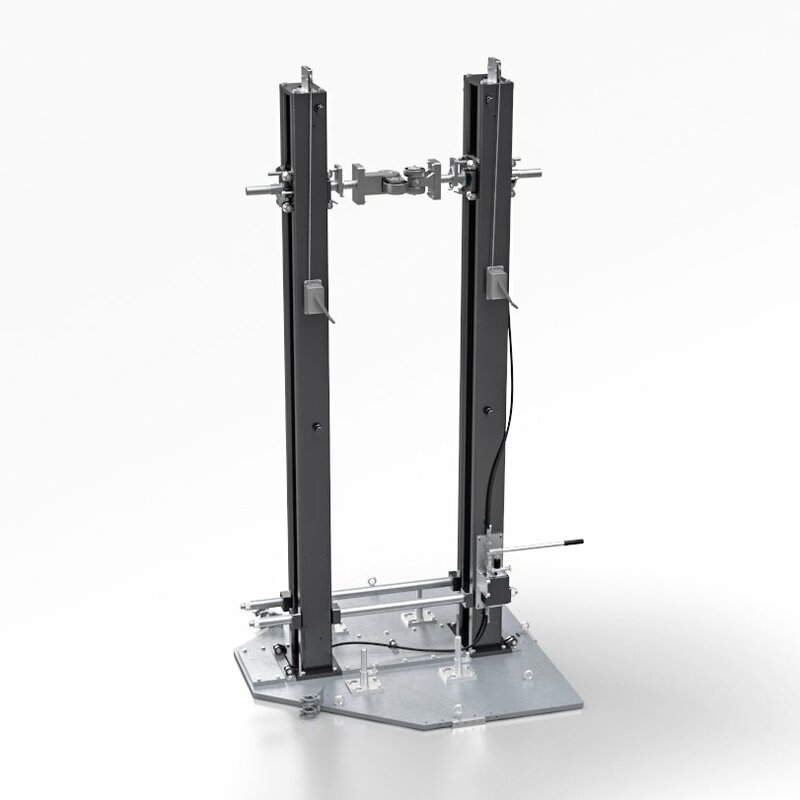 This means that the tack welding is very simple, fast and extremely cost effective. 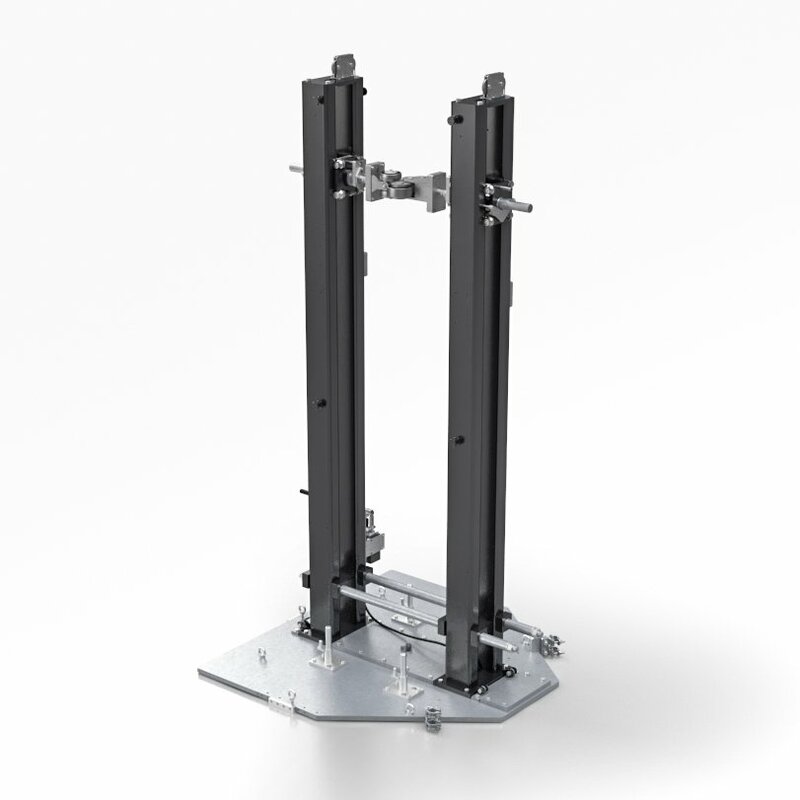 When attaching any required stiffening rings, the stand is also used to fix each individual ring segment to the shell plate. 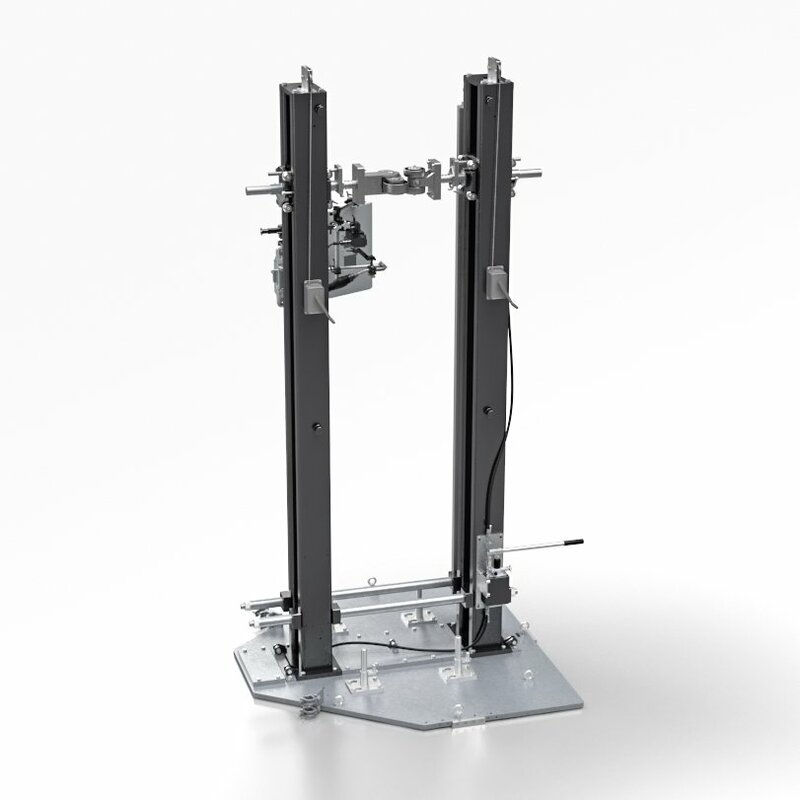 The stand is equipped with a track which enables a totally autonomous mechanized welding process of both the vertical and horizontal weld seams. 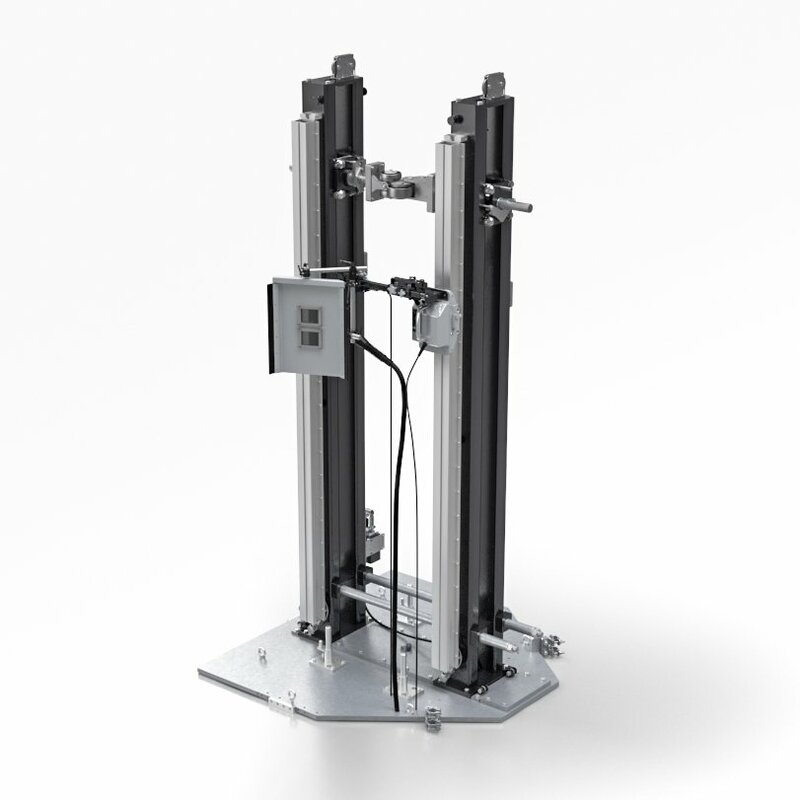 It is also possible to use this device to fillet weld required stiffening rings to the outer shell. It can be used with all common industrial welding methods designated by the customer. The roller bed supports the tank during erection, and allows the tank to be rotated. 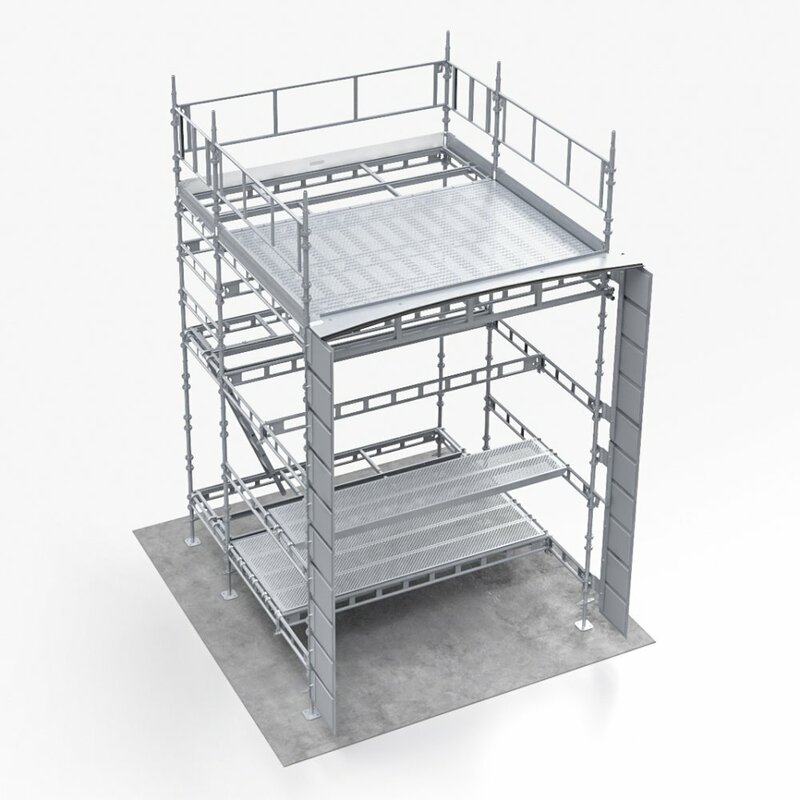 Scaffolding brackets can also be attached to any interior or exterior working platforms. Maximum load: 5 tons. 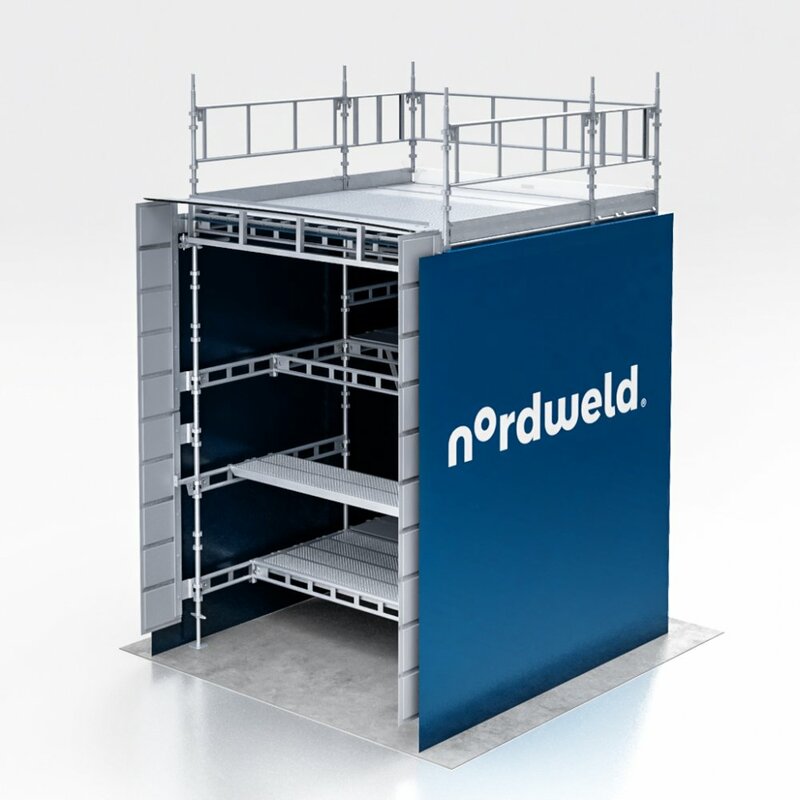 The welding station is built from the supplied scaffolding components and is covered with a top and side panel curtain. It protects both the operator and the welding equipment from hazardous weather conditions, when work is being performed on the exterior of the tank. The equipment is delivered in a 20ft HC transport container. 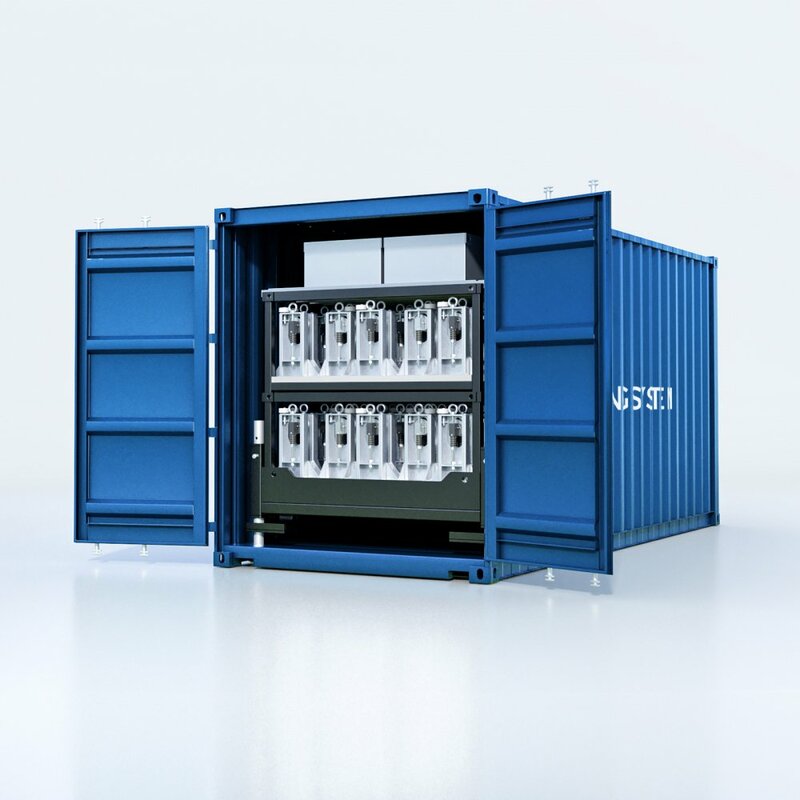 The equipment is placed in specially designed interior racks, which makes the transport and delivery very cost-efficient, and also ensures the customer receives the system ready to work. 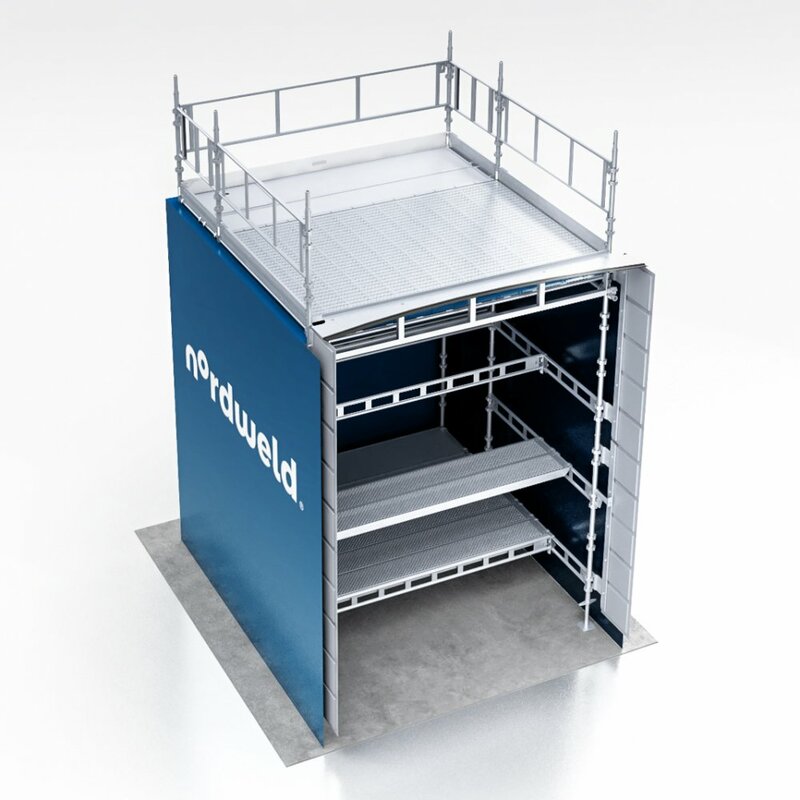 For quick and safe handling of the equipment onsite, the transport rack can be pulled directly out of the container ensuring faster loading and unloading times. Place the annular and bottom plates at the foundation. Place the equipment at the bottom plates and erect the lift jacks. Place the 1st course including the top ring. Assemble the 3rd course and so on until the tank has reached the final height. All NDT can be performed at ground level from one location. Remove the equipment and place the tank at the bottom. 2. Place the annular and bottom plates at the foundation. 3. Place the equipment at the bottom plates and erect the lift jacks. 4. Place the 1st course including the top ring. 5. Assemble the roof construction. 6. Lift the 1st course. 7. Assemble the 2nd course. 8. Lift the entire tank. 9. Assemble the 3rd course and so on until the tank has reached the final height. 10. All NDT can be performed at ground level from one location. 11. Remove the equipment and place the tank at the bottom. 12. Dismantle the lift jacks.